I’ve commented before on my Dad’s interest in almost everything and here’s a case in point. In August 1954 Dad snapped this picture. 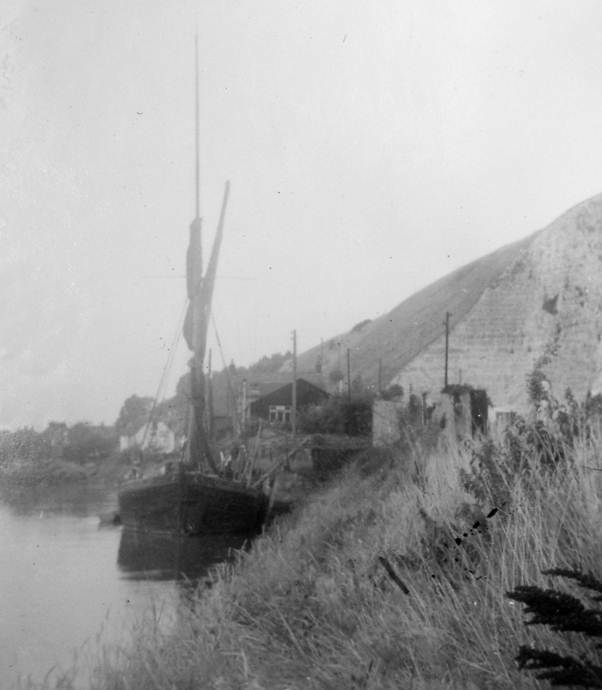 The scene is the River Ouse just on the downstream side of Lewes, county town of East Sussex. The famous cliff is on the right – scene of the awful tragedy of December 1836. Amazingly, it wasn’t so much a cliff collapse as an avalanche of snow which crashed down the cliff destroying a row of cottages and killing eight people. Let’s lighten the mood. One of my favourite spoof book titles, remembered from childhood was, ‘The Cliff Tragedy’ by Eileen Dover. And now back to the photo where all looks calm, still and a tad grey on this August 1954 day. Holding centre stage is a sailing barge. I’m sure dad would have taken this shot knowing their days were numbered. 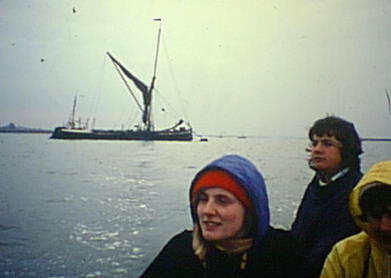 Now I’m not an expert on sailing barges – different styles were adopted for specific circumstances in different parts of the country – but I think this is a Thames sailing barge. Do tell me if I’m wrong. They do still exist although whether any really carry cargo, I don’t know. 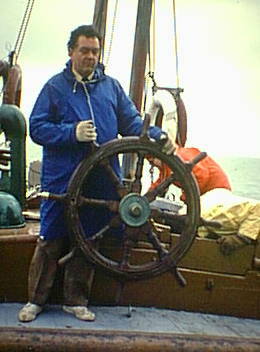 My dad hired one in 1975 as part of an Industrial Archaeology Course he was running. I was there! We set sail from Malden in Essex.